I don't know about you, but I'm sick of this cold. We barely broke twenty all week. Apparently, it's not just a cold snap, but more like a weather "condition". Kind of a thing, you might say. My husband, who happens to enjoy a later work schedule than mine, sent me off each morning, half delirious, mumbling the words: "poollaaaarr vooortexxx," his sleep-laden voice muffled by layers of sheets and comforter, making him sound, adorably, like E.T. on quaaludes. 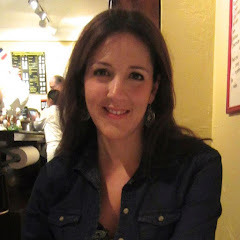 If you too are looking for a way to forget about the nose-diving mercury, why not join me for a quick an easy culinary sojourn to a warmer climate? Today's recipe for Eggplant With Saffron Yogurt comes from it chef Yotam Ottolenghi. I have been obsessed with this guy ever since I read about him in one of my food mags. Born to Italian and German parents and raised in Jerusalem, Ottolenghi made a name for himself once he moved to England, where he started a series of gourmet food shops. His recipes are gorgeous, simple, and his heavy focus on the flavors of the Middle East, is right up my alley. Learn about him! Clearly, I was delighted when I received one of his cookbooks as a Christmas gift (more about the awesome foodie gifts I was lucky enough to receive here). 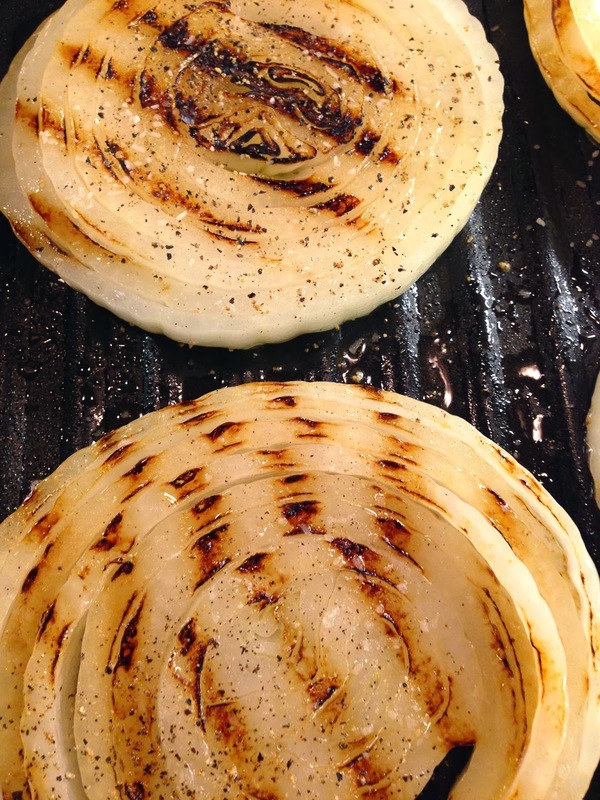 Back to our gorgeous vegetable side dish. Today's platter of golden roasted eggplant, creamy saffron yogurt, and bright basil leaves makes for a pretty dramatic presentation. A sprinkle of crunchy pomegranate seeds add color and crunch. Side note: we're loving pomegranate lately…check out our Basil Pesto and Pomegranate Pasta HERE. It just happens to be a wonderful way to use any leftover ingredients from this recipe. Ok then, on to the main event! 1. To make the sauce, steep the saffron threads in a small bowl with the hot water. Let the mixture sit for at least five minutes. 2. 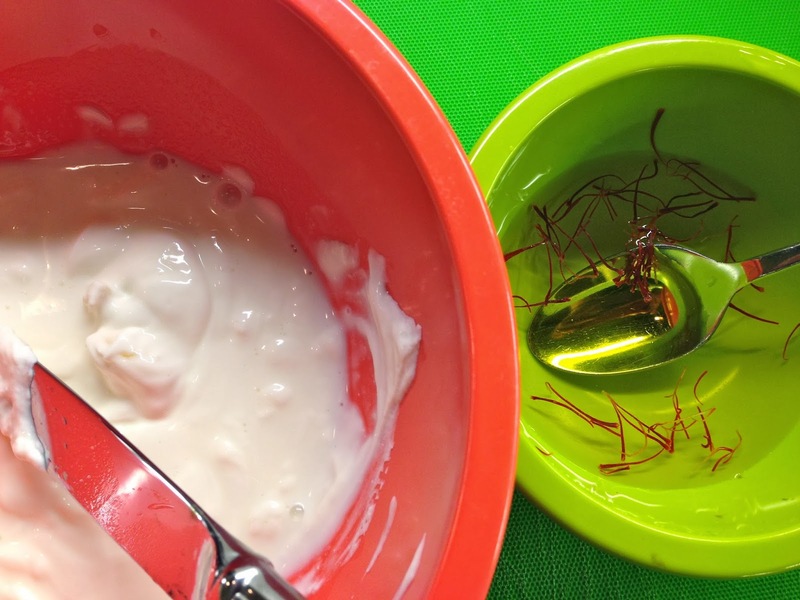 Place yogurt into another bowl, and pour in the saffron infused liquid. Now add the garlic, lemon juice, and a good pinch of salt. Give it a whisk and taste. Adjust seasoning if necessary dab then place it in the fridge to chill. This sauce will keep up to 3 days. 3. Preheat the oven to 425 and oil 2 large baking sheets. Brush eggplant wedges on each side with some more oil and sprinkle them with salt and pepper. 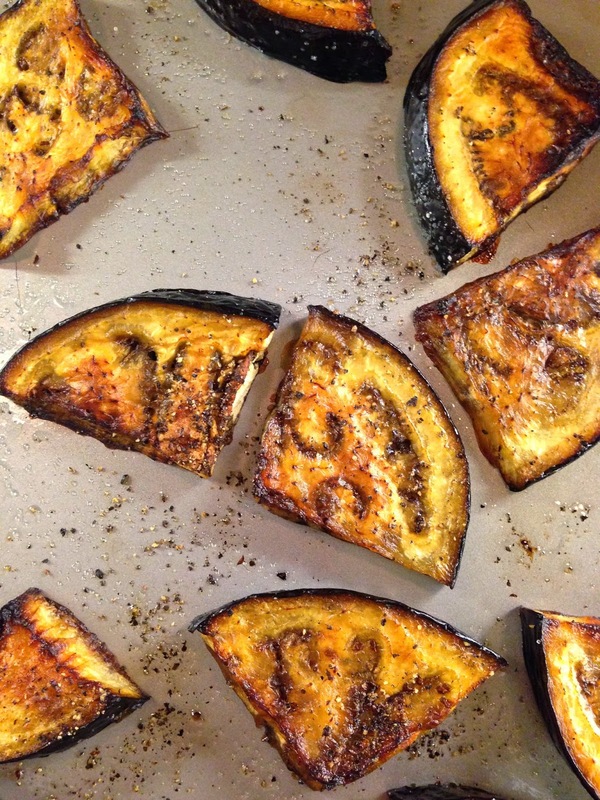 Roast the eggplant at least 20 minutes. It should take on a rich, light brown color. Depending on your oven, you can let them go up to another 10 minutes but watch them careful so they do not burn. When finished, cool the eggplant. It will also keep for 3 days, but you must bring it to room temperature before serving. 4. To serve, place the eggplant slices on a large platter with their edges slightly overlapping. Drizzle the eggplant with the saffron yogurt and sprinkle it with pine nuts and pomegranate. Place the basil on top of it all. Serve and enjoy! Take it from me, it's easy to fall into a cooking slump with your go-to proteins. My solution? Whipping up a quick and delicious complimentary side dish is one way to add variety. Another tactic I often employ is to create fast slaws or salsas to top off meat, fish, or poultry (some ideas here and here). Don't be afraid to use the fruits, vegetables, and herbs that you have on hand! You'll be surprised what you can come up with. These quick accompaniments are a great way to add interest to your meals without adding much extra time or effort. Who has either of those to spare on a hectic work night? Today's slaw is one of my favorites because it uses the classic apple and pork pairing in a more modern way than a tired old dollop of apple sauce. We used beautiful Opal Apples that we found at the market (check out their striking yellow hue), but any apples, green, yellow, or red, will do. Try to target whatever variety is in season. Now, without further delay, please enjoy Apple & Onion Slaw and a bonus veggie side dish too. Melt Butter in a medium skillet over medium-low heat. Add Apples and cook, stirring, for 4 minutes. Add Red Onion. Cook another few minutes until Onions soften. Add Apple Cider Vinegar and Agave. Sprinkle on Sage and stir everything gently. Add a pinch of Salt and some Pepper. Portion slaw onto your favorite protein, serve, and enjoy! Weeknight Brussels Sprouts (originally published here) are wonderfully satisfying in all their naked sprout glory. To cook then, we combine sautéing and braising which shaves time off the preparation and enhances texture. Our sprouts are so flavorful that they require no zhushing (bacon and all those other popular extras are simply not necessary) to be delicious. Test the sprouts for doneness as you go. A bit of firmness should remain in them. Nothing's worse than a mushy brussels sprout. ENJOY! 1. Add oil and butter to a large sauté pan. Melt butter over medium heat. 2. Saute the sprouts Cook 4 to 5 minutes or until slightly browned and golden (see photo above). 3. Add broth to the pan, pouring until liquid reaches about halfway up the height of the sprouts. Allow liquid to reach a gentle boil. 4. Lower the heat to a simmer and cover the pan. Cook another 7 minutes for al dente or 9 minutes for slightly more tender. Drain off the liquid and season sprouts to taste with salt and pepper to taste. Serve!